It isn’t long after you leave the airport at Keflavík that you see with your own eyes that Iceland is like nowhere else on earth. You are now in Volcanoland, on an island where there is an almost total lack of trees. There is an old joke: What do you do when you’re lost in an Icelandic forest? The answer: Stand up. 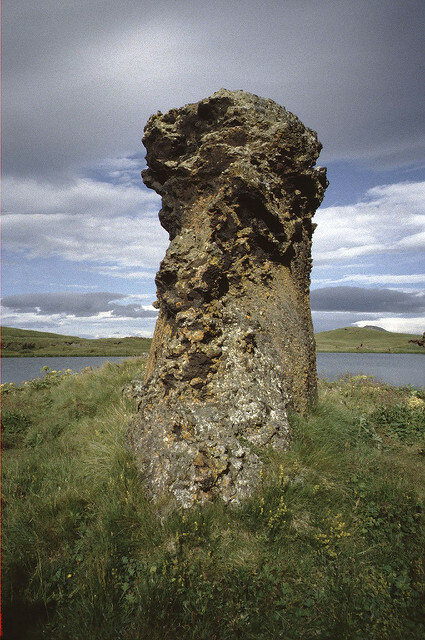 Nowhere in Iceland are there trees in any number that tower above the human form. There are black sand beaches, steam venting from fumaroles visible between Keflavík and Reykjavík, hotel showers that smell of sulphur, strange ice floes tinged with a light blue shade, seemingly hundreds of waterfalls, numerous active volcanoes—and that is only the beginning. 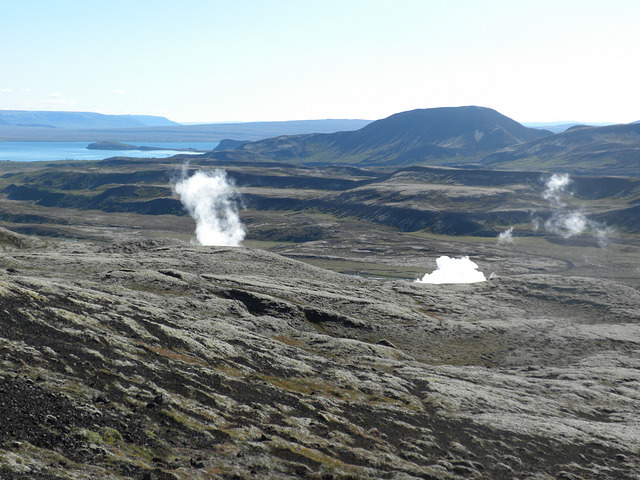 I have been to Iceland twice, in 2001 and 2013. And I want to go again. It’s not exactly a budget destination. Yet the country is teeming with European tourists, mostly of the backpacker persuasion. On both of my trips, I visited Jökulsárlón, the lagoon full of blue-tinged ice floes from the giant Vatnajökull Glacier that is the largest in Europe. 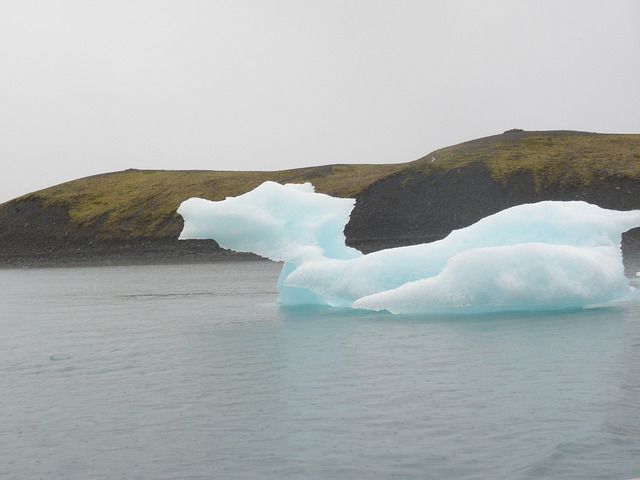 I took an amphibious boat tour of the lagoon and even tasted the ancient ice from the glacier. The lagoon is so striking that all scheduled buses passing it stop over for around an hour so that the tourists can get their fill of the sights. The strange rock formations at Dimmuborgir by the southeast shore of Lake Mývatn are said to be the homes of elves who suddenly pop up through a hidden door and drag unsuspecting Icelanders to their subterranean halls. Even in Reykjavík, there are strange unexplained things. To avoid jet lag, I took a ghost walk from the old harbor to the cemetery of Hólavallagarður. Although I slept well that night, I had the strangest dreams. In the above photo, I am standing at the tongue of Heinabergsjökull, one of the extensions of the gigantic Vatnajökull icecap, the third largest in the world after Antarctica and Greenland. At the same time that Iceland is starting to fade from view, so is Vatnajökull itself. Over the last eighty years, the glacier has pulled back from the edge of the sea for several miles and shows signs of a further retreat. In the 1930s, if I were standing in the same position, there would be perhaps a hundred meters of ice below me (or above me). What I hope will never fade from view are my memories: Iceland occupies a special place in my heart—along with Patagonia, the American Southwest, Yucatán, and the islands off the coast of Scotland. Visiting those places has, to a large extent, made me the person I am today. I went from being a little kid whose family was too poor to take him anywhere to a grown-up who has developed an insatiable itch for travel. Who knows what the next few years will bring? My gaze is still skipping around the globe, looking for places that might interest me. And I hope that Martine can accompany me, because her presence and her sense of wonder make everything better. I have been asked by friends about that glacier shown atop my blog page. It is the Perito Moreno Glacier in the State of Santa Cruz in Argentina. Last year at this time, Martine and I were there on our vacation. 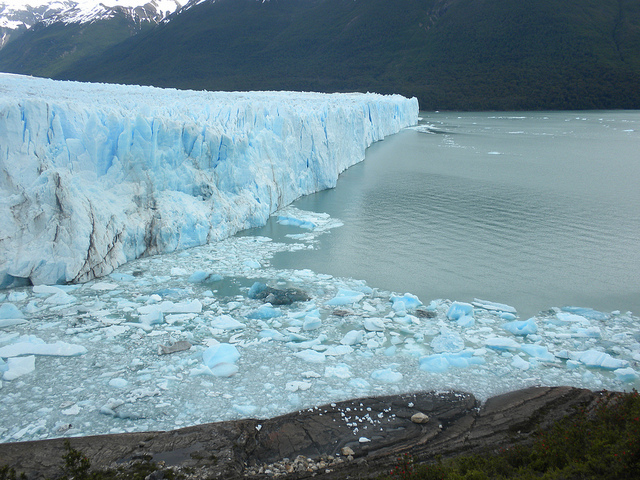 In a country full of natural beauty, Perito Moreno is one of the top attractions. It is near the city of El Calafate, from where one can take bus tours that allow one to view the glacier from a number of viewpoints, including from a boat that travels close to its edge. The man after whom the glacier is named was a 19th century Argentinean naturalist who was the South American equivalent of John Muir. Francisco Pascasio Moreno (nicknamed Perito, or “expert”) was born in Buenos Aires in 1852 and died in 1919. He was largely responsible for the creation of several Patagonian national parks and is memorialized in the La Plata Museum of Natural History. One of the interesting facts about the Perito Moreno Glacier, other than its massive size, is that it is one of three Andean glaciers that are still growing in size—at a time when glaciers all over the world are retreating or even disappearing. The lake that the glacier melt drains into is Lago Argentino, which is flanked on its western boundary by a number of glaciers, including the massive Upsala and the Spegazzini glaciers. I will change the image up top eventually, but Martine and I have happy memories of our Argentina trip, and I wanted to be reminded of it every time I looked at Tarnmoor.Com.